It’s a familiar story around here: A Boston neighborhood was built atop a tidal marsh. The South End is no different. Since it was first developed in the 1850s, the neighborhood has gone through a unique evolution, transitioning from luxurious row houses for privileged families, to tenements and flophouses, and then back to housing for the well-to-do. In the 1950s, ’60s, and ’70s, the South End experienced a tumultuous period of urban renewal, which translated to displacement and racial tension. It later became an enclave for a thriving gay scene and artist community. But in the last few decades, the South End has rapidly gentrified, once again becoming one of the city’s most stylish neighborhoods. In a way, the South End also serves as an example of Boston’s current status as a city of contrasts. Walk up Tremont and you’ll spot moms pushing $700 strollers while carrying non-fat lattes from the Buttery. But just a couple streets over on Albany, the effects of the opioid epidemic smack you in the face outside of Boston Medical Center. Still, residents love that the neighborhood is supremely walkable, and is ideal for small kids thanks to a bevy of adorable playgrounds and parks. While its proximity to Back Bay and Chinatown is a bonus, you’ll find some South Enders who rarely leave the neighborhood—and some who treat crossing over Mass. Ave. like stepping onto hot lava. Such a close-knit community is difficult to break into. Interested buyers first have to make it through bidding wars, cancelled open houses, and exorbitant prices before finally settling in. 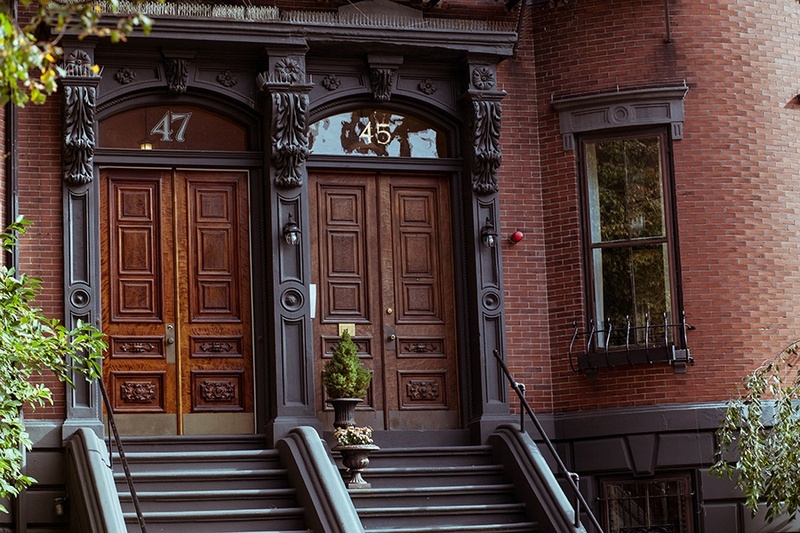 Through its history, the South End has managed to maintain the charm that put it on the map in the first place. 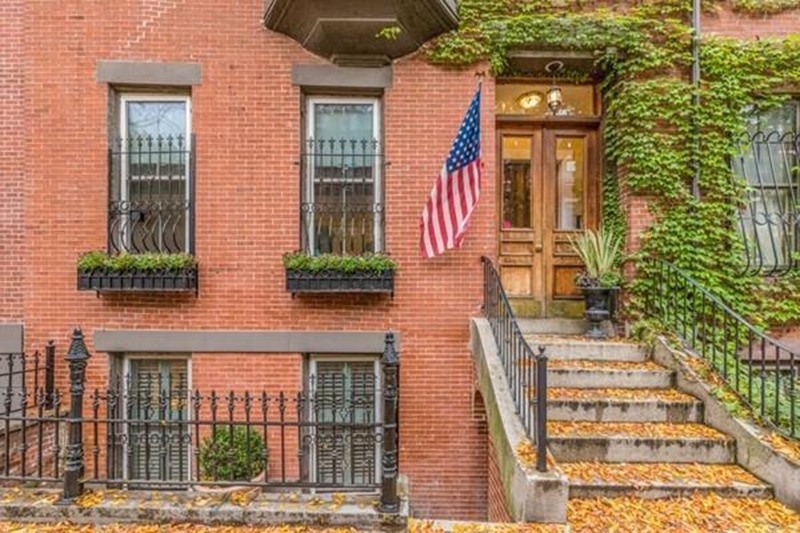 While it’s true some landmarks have given way to shiny new buildings, its stately rows of brownstones will always underscore the character of Boston. There are no MBTA train stops in the South End, but the Ruggles, Back Bay, Tufts Medical Center, and Massachusetts Avenue stops on the Orange Line are nearby. 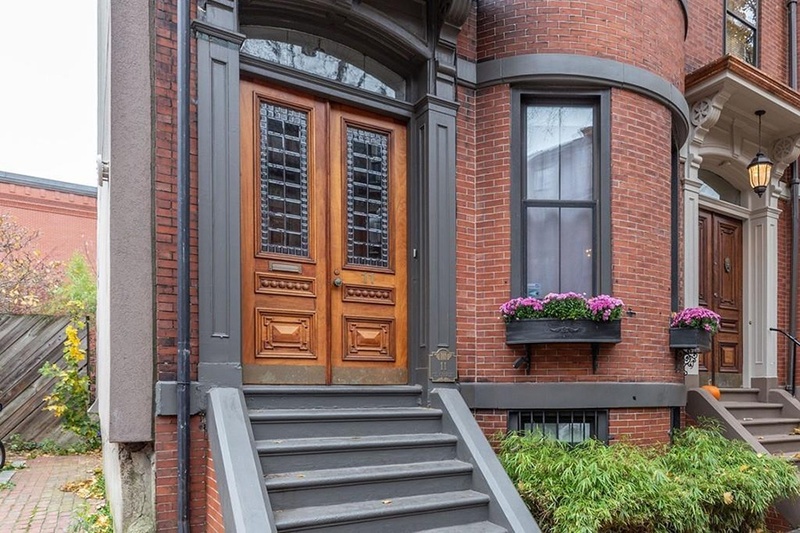 The South End remains one of the most highly coveted neighborhoods in Boston, and prospective home buyers are still met with limited inventory and premium pricing. That said, as is typical in the later stages of a macro-level housing cycle, the rapid price appreciation realized over the last several years in the area has begun to soften off of earlier highs. In the South End specifically, this has translated to fewer highly competitive bidding events and a slight increase in available inventory rather than a pronounced re-balancing reminiscent of a true “buyer’s market.” So while some of the frenzy experienced in recent years past has subsided, homes with an appealing amenity mix, location, and price point are still in strong demand. Buyers searching for a home at this time should still be prepared to act quickly and decisively, but should be thoughtful about how their offers are structured; some homes are still being priced speculatively, assuming the same rate of appreciation experienced over the last several years. Since market conditions have changed slightly, buyers may be poised to either capitalize on public price reductions, or on homes that have been on the market for an extended period of time without having accepted an offer. In particular, buyers who are financing their home purchases should be mindful of current interest rates and the increased cost of borrowing, which we expect the Federal Reserve to continue to raise in coming quarters. Partnering with an experienced agent who can analyze and explain a home’s true value, all local and broad economic and market conditions and how they factor into your home purchase is an invaluable asset at this time. Good deals are still hard to come by, but buyers should either watch for homes that have lingered on-market in some of the hottest areas who may be willing to concede slightly on price, or look just outside of the city center at homes in neighborhoods that may offer much more bang-for-your-buck. The South End is often declared as Boston’s best food neighborhood. Acclaimed restaurants like Coppa, SRV, Toro, B&G Oysters, and Kava Neo-Taverna are constantly packed, but there are also plenty of great classics that have held on through the years. Charlie’s Sandwich Shoppe, which served black jazz musicians when hotels were segregated, has even made it to the front page of the New York Times thanks to a visit from Al Gore when he ran for president. (And they have a bathroom now!) Don’t skip other classics like Anchovies, Delux Cafe, and Foley’s, as well as landmark gay bars The Eagle and Club Cafe. A night of listening to jazz at Wally’s Cafe is also a must. 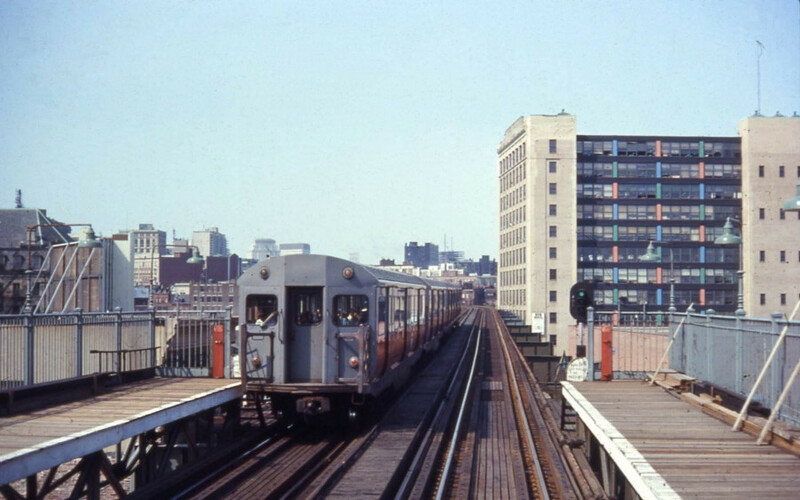 The Elevated Orange Line train once ran up Washington Street, connecting downtown Boston with Roxbury at Dudley Station, and continuing out to Forest Hills. But by 1987, it was weathered from old age, and the El was torn down. Though it was eventually replaced by the Silver Line bus, the removal did cause trouble for some residents—particularly those who lived in Roxbury and relied on Dudley Station. Northampton Station was removed, with its remnants sent to the Seashore Trolley Museum in Kennebunk, Maine, as was Dover Station, which sat on East Berkeley Street. While you can’t catch a ride on the Elevated Orange Line these days, it was immortalized in the final scenes of the opening credits of ’80s medical drama St. Elsewhere. (It’s at 1:11 in the video below.) The hit show was set at the fictitious St. Eligius Hospital, which you may recognize as the Franklin Square Apartments on East Newton Street. Dover Station no longer exists, but you can still catch a glance of its bright orange sign hanging inside the bar at Foley’s.